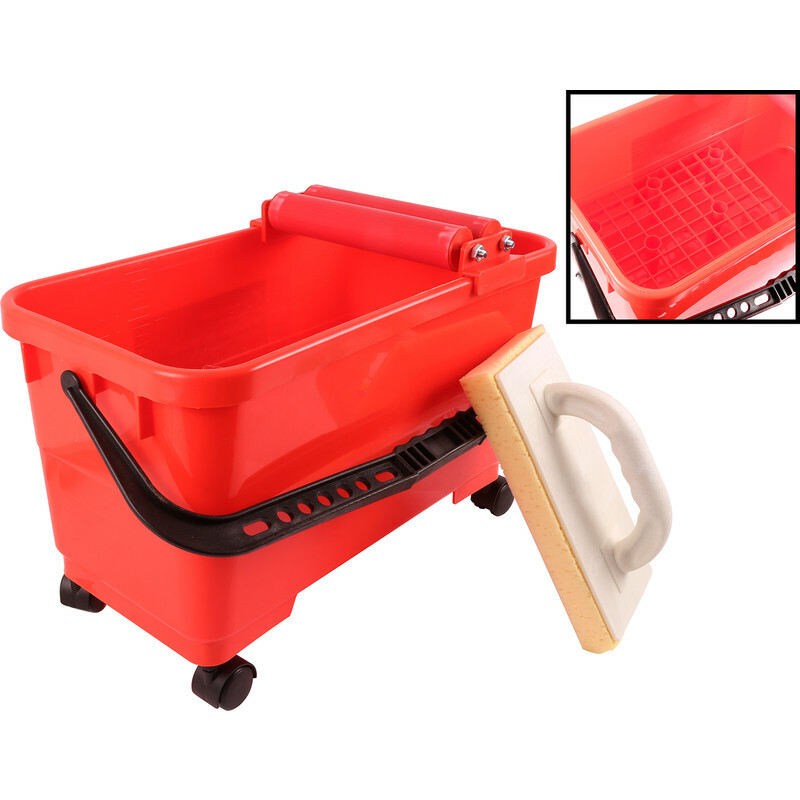 Extra large 23L wash kit with container on wheels for easy positioning and movement. Includes 2 x integral rollers for wringing out the sponge and plastic grid. Supplied with heavy duty segmented foam sponge for quick cleaning of large, freshly grouted areas.